As the descendant of the Ottoman Empire, Turkey has a long tradition of powerful authoritarian rule. The Ottoman sultan even quickly terminated the first Ottoman Constitution in 1876. But when Mustafa Kemal Atatürk established Turkey as a republic in 1923, it was established on democratic principles with a constitution to protect them. In sharp contrast to the United States, however, Turkey included emergency powers in its constitution. These emergency powers, without any effective check, undermine the position of the Turkish Constitution and allow substantial power accumulation by the Turkish president. Substantive checks on emergency powers are essential for democracies to protect themselves and their people from authoritarian tendencies. The founding fathers of the United States, wary of the risks, provided only extremely limited emergency powers. The U.S. Constitution only provides the president with the power to suspend habeas corpus during national emergencies, as President Lincoln did in part during the Civil War. 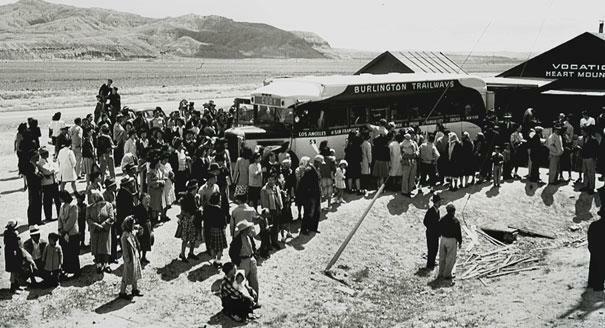 The president’s emergency powers appeared to expand when President Franklin D. Roosevelt issued Executive Order 9066, which put Japanese-Americans in internment camps and was held as constitutional in Korematsu v. United States. The Korematsu decision upheld the ability of the United States government to intern Japanese-Americans. In comparison, the Turkish Constitution in Article 104 explicitly gives the executive the ability to declare a national emergency. Articles 119-122 allow the president, with the Council of Ministers, to declare a state of emergency wherein the president may issue executive orders that carry the weight of law, as well as draft decrees that will go to the Turkish Grand National Assembly for a simple yes or no vote. The Constitution provides several checks on this power. The state of emergency cannot exceed six months, although it can be extended a further four months by the Turkish Grand National Assembly. In addition, the Council of Ministers, albeit headed by the president, must declare the state of emergency for it to be valid. But these supposed limits have failed to restrain emergency power in Turkey. In 2001, Turkish politician Zafer Üskül noted that Turkey had been under some sort of emergency rule for forty of its 78 years of existence. 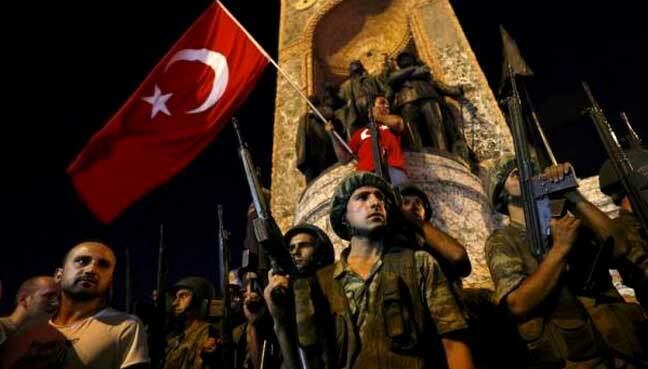 Despite its democratic constitution, Turkey has a strong authoritarian tradition. From 1960 to 2000, there was a military coup every decade and several additional periods of emergency powers. Emergency powers are emergency because they are meant to be extraordinary, not more frequent than ordinary rule of law. The AKP’s tenure in power, beginning back in 2002, appeared to be a new period of domestic peace. There were no military coups and no emergency powers were declared during the 2000s, the first politically stable decade in Turkey since the 1950s. Emergency powers were functioning as they meant to function: as extraordinary powers that were rarely invoked. But following the failed coup in July 2016, President Recep Tayyip Erdoğan, declared a state of emergency. As this article is being written, Turkey’s state of emergency has already been extended six times. At 21 months and counting, Erdoğan’s emergency powers have far exceeded the letter and spirit of the Turkish Constitution. Erdoğan’s emergency actions have included jailing dozens of journalists, firing thousands of teachers, and arresting foreigners inside the country. His regime, like so many Turkish administrations that have come before, proves Justice Jackson’s insight correct: emergency powers do kindle emergencies. A 2016 coup attempt led Erdoğan to declare a state of emergency. In Federalist 10, James Madison, guided by the writings of the Enlightenment thinker Montesquieu, wrote that a country needs to “divide and arrange the several offices in such a manner as that each may be a check on the other that the private interest of every individual may be a sentinel over the public rights.” Although the United States did not adopt emergency powers for the executive, checks and balances on such powers would have provided a limit on their extent. The excesses of emergency powers in Turkey have come about in part because of the lack of strong checks on the declaration and maintenance of emergency power. The judiciary has no role in emergency powers in Turkey; the Constitutional Court does not evaluate whether a national emergency actually exists. The legislature, the Turkish Grand National Assembly, must approve a continuation of the state of emergency, but this only requires a simple majority, which Erdoğan’s AKP has held since 2012 with a brief exception in 2015. In the executive branch, the Council of Ministers must approve the call for a state of emergency, but this is the cabinet that Erdoğan himself appointed, providing no real check since they are beholden to the president for their positions. There are no effective government structures in place to guard the Turkish Republic from authoritarian usurpation in the guise of emergency powers. In Turkey, emergency powers have kindled emergencies. While the executive would be an unlikely check on the president’s own power, especially once amendments to the Turkish Constitution come into effect within the next year, other checks could exist. The judiciary could have a role in evaluating the constitutionality of declaring emergency powers. Legislative approval could require a supermajority rather than just a simple majority. These amendments perhaps should have focused on such checks on power instead. Without stronger checks, the emergency powers allowed by the Turkish Constitution put into question its very security and sanctity and the rights of the Turkish people. Although emergency powers do have potential utility, Turkey must amend its constitution to provide substantive checks on the power of the president. This could happen through having an independent political body such as a supermajority of the legislature or the judiciary, rather than a group of executive officials beholden to the president for their jobs, confer emergency powers on the president. This example also provides the same message for other democratic countries around the world: provide appropriate checks on emergency powers, or else the executive can use them to establish an authoritarian regime. Michael Goodyear is a J.D. candidate at the University of Michigan Law School. He holds degrees in History and Near Eastern Languages and Civilizations from the University of Chicago.